The name might ring a bell for some of you in the eSport scene, but it's not the popular „French MaxLan“. The „German Maxlan“ is organized twice a year in the north-west of Germany with over 200 participants. Meppen will be the location where SK Racing wil fight for the first major LFS trophy in 2009. And it was Marco 'Jay' Schade who managed to win the prestigious Maxlan Racing Tournament the last five nstallments consecutively. He had beaten Danny 'HuskY' Engels twice, back in 2007, and also Hendrik 'b0nd' von Eye had to eat his dust in '08. For the first Maxlan in 2009, the mentioned SK Players: Marco 'Jay' Schade, Hendrik 'b0nd' von Eye and Danny 'HuskY' Engels are travelling to Meppen once again. And in this preview for this weekend's upcoming spectacle, HuskY is giving us a closer look on the Maxlan 15 Live for Speed Starting Grid. races live from the event together with gamer-FM. In 2006 he was able to climb up on the highest step of the podium together with Marco 'Jay' Schade in the Maxlan 9 Team-Championship. After that, Danny was beaten three-times in a row by Marco (Maxlan 10-12). But besides those three second places in LFS, HuskY is also known for winning the Maxlan Arcade Racing Tournaments. One year ago he decided to concentrate more on these games instead of competing in the Live for Speed event at the same time. 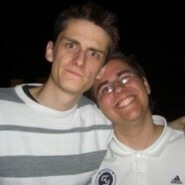 Therefore he plays the roll as Sim-Racing expert for gamer-FM since last year. Marco 'Jay' Schade – Five times Maxlan Champion in a row! "Will he continue his winning streak in 2009?" HuskY thinks he will! Even though there are so many motivated and dedicated upcoming racing talents at the moment, Jay should be the one who has advantages in almost every aspect you could think of. He is the most experienced driver online with almost 180.000miles driven and also many offline events are putting Marco 'Jay' Schade into the 'Top Favourite' position. German Live for Speed driver 2008, what else can you say except for: 'Top Favorite!'" Hendrik 'b0nd' von Eye was a talented Counter-Strike player before he decided to put all his passion into Sim Racing Games. He developed to one of the best Sim Racers during the last three years. He is always able to show a really good performance on track, but one thing is still missing – a major victory! Hendrik von Eye became third in the ESL Pro Series, and also finished many other leagues in the top ranks. In the last two years he had four podium places but was always beaten by Marco Schade. b0nd, though, also drove more than 100.000miles online so far and could be the one to follow in Jay's footsteps by finally winning the Maxlan 15. "b0nd is one of the best racers, no doubt, but it really depends on the race system wether he will be able to beat SK|Jay or "only" finish on the podium once again. In my opinion: It will be a tough fight! I think you can expect b0nd on the podium once again for sure, but he is also the one who definitely can beat Jay." Gerrit 'g4ly' Eckhardt, from n!faculty, is one of the mentioned upcoming talents. He finished the last ESL Amateur Series 2008 on 7th position and has the chance to join the best German Live for Speed pilots in the upcoming Racing Championship. And it is not the first time that we can see Gerrit 'g4ly' Eckhardt in Meppen. He already showed a good performance at Maxlan 12 & 13 with TEAM SPEED-LINK. "g4ly can give the SK Gaming drivers a hard time, even though I honestly do not see him winning the Maxlan. He is a good driver of course and he is definately able to jump on the podium." Jonas 'monthu' Hülsermann, former HighFidelity Racing Driver, quitted professional racing few months ago, but still wants to show his skills in 15th Maxlan. After HighFidelity Racing announced their drop out of every Sim-Racing league few months ago, the Drivers of Team-Captain Hendrik 't3ddy' Tries (known as NFS & LFS Pro Gamer) lost themselves a bit in inactivity, but never really split up. Even a comeback of HighFidelty Racing is not impossible as they said. but probably too rusty to find back his old Pro Series form. "monthu is hard to predict! He was one of the best Germans more than one year ago, but probably lost some speed in his inactivity. When he is going to find back his old form, he will be able to fight with the top guys!" Sven 'FruiTy' Lottmann is also of HighFidelity formers Racing Team. He finished 16th in last year ESL Sports Racing Championship, and qualified himself for the Relegation. But it is not really sure if he is going to compete anyway. His last Online-Activity in Live for Speed was already almost 5 months ago. To be exactly, his last race was at Maxlan 14. Normally FruiTy is a good driver and able to finish in the top ranks as he did last Maxlan with 6th place, but like monthu, Sven Lottmann might lost some speed in his inactivity. When both Ex-HighFidelty Members practiced enough and find back the feeling, they are definitely one of the best participants. Both have much Racing experience in Top leagues like Masters of Endurance and Electronic Sports League. "FruiTy did a quite good job last Maxlan, but I do not really know if he is in good shape after the winter break. Normally I would expect both HFD guys somewhere in the front though, but as I said it's hard to predict!" Marco 'looka' Schnieders - Underdog with home field advantage? into the professional eSport business. He improved his Racing skills time by time and shows pretty good results in smaller national leagues. But especially the ESL Sports Opening Cup showed that you can't underestimate him. While b0nd, n1lyn, Jay, HuskY and Clio (all SK) finished in Top5, looka became tenth and was able to beat bigger names in that high class race. Even though he wasn't quite successful in the last Maxlan, he could be this year's surprise. And that he is living in Meppen could play into his hands as well. "I never really had the chance to race with looka. He wasn't that successful in Maxlan history, but it seems that he made his way up by joining Speedlink and Komacrew in the last months. We'll see if he can set an example for his future!" Patrick 'intre' Kreutz is a real life competitive cart-driver. He became DMV MRC MAX Champion in 2007 and is still racing in national championships. Like many real life Racer (e.g. Dale Earnhardt Jr.), intre is also competing in Sim-Racing events. You can see his name in smaller national Live for Speed leagues. The Maxlan will be the first time, that he will face big names like Marco Schade. It's his first LAN event as well and he's facing a lot virgin soil this weekend. Real life Racing skills are always helping to get faster in Sim Racing games, no doubt. Therefore you can expect much from intre in the future. He is a young upcoming talent - dedicated, passionate and motivated. "Intre is a new name for the professional Sim Racing scene. I am really looking forward to see his Sim-Racing Skills. The fact that he is a real life racer will help him a lot to improve online!" Dennis 'masterg' Schmitt is known as a professional Need for Speed Player. 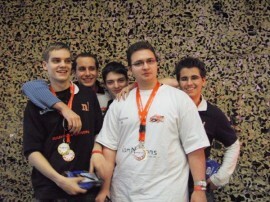 He even participated in the World Cyber Games German National Finals. Due to the flop of Need for Speed: Undercover many NFS pros, like Dennis, are searching new options. masterg decided to change from Need for Speed to Live for Speed and joined the Komacrew Sim Racing Team. He is quite new to the game and only traveled around 12.000miles online. The Maxlan is going to be his first real challenge in LFS. He did not compete in any major league so far. He could prove, though, that Need for Speed Drivers are also able to play Sim-Racing games! "I know masterg of my Need for Speed times..., even though he is a very talented eSport Racer I doubt that he will be already able to finish in the top ranks this weekend. It is a huge different to play Need for Speed or Live for Speed, but I think he definitely wants to show his best!" Jens-Peter 'JayPee' Wand is the oldest participant in Maxlan's Live for Speed starting Grid. 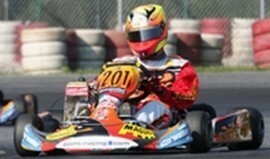 He is racing in smaller national Live for Speed leagues as well and doing quite good results. He never appeared in major league races though. First after 125-Racing Team merged with Komacrew few weeks ago, JayPee came in touch with professional eSports. His first step into a new world begins this weekend in Meppen. It is his first major LAN event and he is making his debut like masterg and intre in the biggest LAN-Party Racing Event. "Old and experienced - That's JayPee. 34 Years, probably seems to old for eSports, but is nothing unusual in Sim-Racing. I even faced guys that could have been my grandfather. Anyway, I see JayPee in the midfield with a solid performance!" Andreas 'D1ggA' Schönig is a former Need for Speed Player like kC|masterg. D1gg4 wasn't that successful in NFS and switched his games quite often. He also played Juiced and Pro Evolution Soccer. At the end he found his new passion in Live for Speed - D1ggA is a newcomer like the other mentioned Komacrew Drivers and facing his first major event at Maxlan this weekend. Andreas Schönig is Team Manager of the Komacrew Sim Racing Team and really looking forward to the first offline event of his Team. You can not expect very much, especially of the newcomers, but also can not underestimate them, especially Patrick 'intre' Kreutz and Marco 'looka' Schnieders. "DiggA finally made the right step with his step from Arcade to Sim-Racing. I know that the NFS guys do have so much passion and dedication, because they have to learn a new game every year. This will help them to get used to Live for Speed time after time, but I think it is a bit too early to expect podium ranks of kC!" Actually, Torsten 'Vogelaufmzaun' Boltjes is a Unreal Tournament 3 Player and all-time Maxlan Unreal Tournament favorite. But he is also a former n!faculty Racing Team Member and showing his skills in some national Live for Speed leagues as well. Vogelaufmzaun even finished in the Top20 of last years ESL Amateur Series. Unfortunately he just left n!faculty few weeks ago. Torsten Boltjes is always a part of Maxlan's Racing Tournament since years and therefore you can find him once again in the starting grid. "I think Vogelaufmzaun will finish somewhere in the midfield. I do not see him fighting with the top guys, to be honest. I think he could do much better when he would be completly focused in Live for Speed..., but otherwise I wish him good luck for the UT Tournament!!!" 8th position at Maxlan 14. That is definitely a sign that you should not underestimate the guys, but due to the fact that they are not really active in eSports-Sim-Racing, you can not find any top ranks in major events so far. SK-Gaming.com and gamer-FM.de will coverage the entire Racing Tournament during weekend. Stay tuned for more News, Blogs, Pictures and Videos of SK Racing!